Somehow I had a chance to hear that Irish cuisine - say, poor ... compared to Italian or French or with other countries' cuisines, and these words touched me, as they say, I don’t agree with such a statement! If you do not be lazy and look for recipes for its preparation on the Internet - I am sure we will find a lot, and they will all be different. Something. 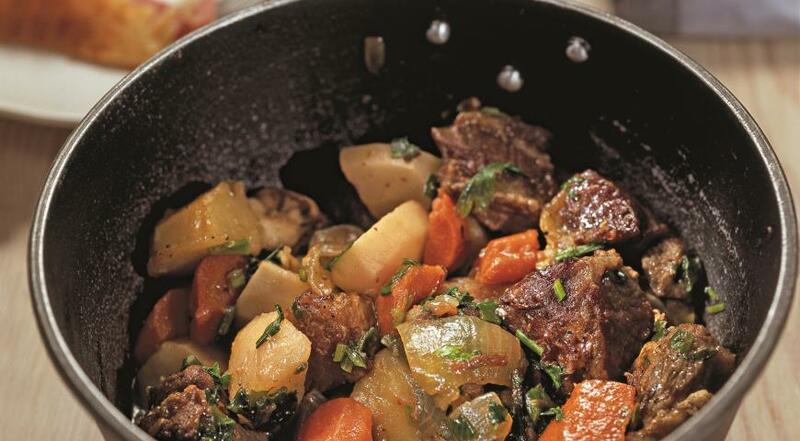 But in the main Irish stew is a dish that came from the poverty of life in those brutal times of British colonization, when the homes of oppressed Irish people had potatoes and it’s good if a couple of sheep were in the field, then stews were cooked with meat. 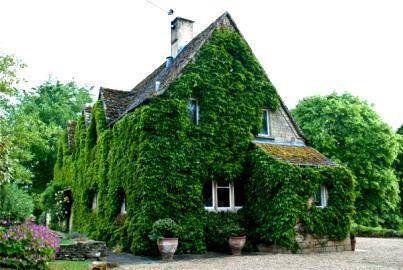 The hearth in the old Irish houses was simply indispensable, so on the open fire the hostess was preparing for a large family a simple dish, leaving everything that the Lord had sent to the family in the pot ... “Travelers” from the English verb “travel” - to travel. Well, in the homes of ordinary Irish, it was the most common and main course, which was prepared for future use, and if a few days. Hearty and, moreover, economically. We take onions in the first place, of course, onions, but I always add some green onions to the already prepared dish - for taste. So, from what was it prepared? I tried this stew, which was cooked on a fire, in a big company, when my Irish girlfriend decided to celebrate her birthday like this and invited everyone who is not afraid of rain, if he goes, and who wants to try real Irish stew. There were a lot of people, no one was afraid of the rain, and the fun turned out to be great and it was over all the praises - after all, between everyone and collecting firewood for the fire tried to look into the cauldron suspended from a thick stick over the fire, and probably every one of us I added to this pot, according to my own recipe ... well, as is usual .. And you know, that's how many times I noticed that the dish prepared with common uislia always tastes better, as if you cook it alone or even serve it in a restaurant. The energy of many people, perhaps, is that indispensable seasoning, eh? 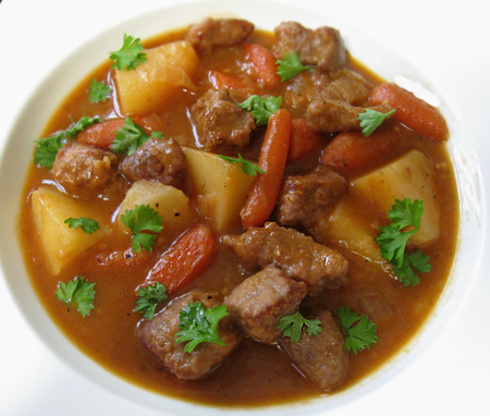 I will tell you how I cook Irish stew - nothing complicated, just do not forget that you need to cook this dish - with love. Well, like everything you do in your life. For stew, a sufficiently deep and sufficiently wide pan, with a certainly thick bottom, is necessary; Why? Because it is necessary to cook for a very long time, at least 3 hours, and so that the products at the bottom of the pan are not burnt, the liquid tends to boil all the time, and especially for such a long time of cooking, you need a pan with a thick double bottom. Then all products put into the pan will simmer over low heat and nothing will burn, and will not spoil either your taste or your mood. So, number 1 is a pan with a thick bottom. I personally love ceramic dishes very much due to the fact that it is closer to nature and for aesthetic reasons. You see for yourself - what do you like yourself ... Just in case, I was not too lazy to find pictures of suitable dishes for ignorant young housewives who would want to surprise their beloved husband with such a plain but very satisfying dish .. 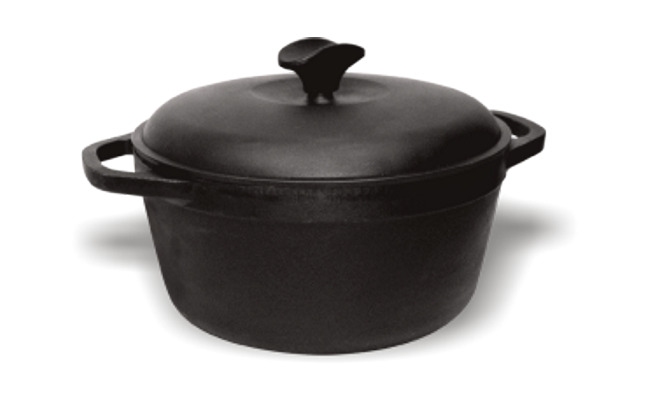 This is a typical cast iron pan - it is always helpful to have a household. And for the Irish stew as well. I would choose just such a pot. And the thick bottom and thick walls, and most importantly - the color is pleasing to the eye and uplifting. And you can put in the oven. 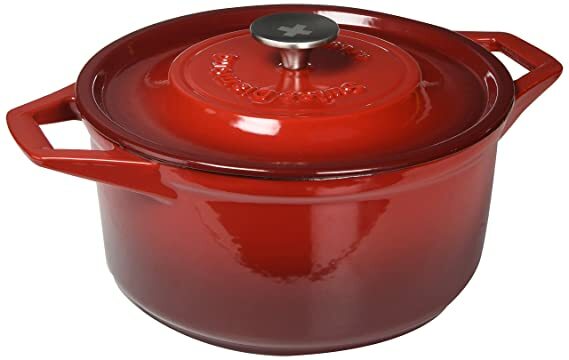 We have chosen the saucepan we need, such that “the soul warms”, as my grandmother said, and notice from this that the quality of the dishes that you are going to cook in it depends. We bought potatoes, washed them, cleaned and cut them into large pieces. For three hours, small pieces of stew will turn into a complete mashed potatoes, which is not our task in this particular case, so we cut the potatoes into large pieces. The first option: Start with meat. At first I put a deep frying pan on the stove too, and pour some olive oil, and when the pan is already heated enough, I lay the meat cooked for the meat - these are finely chopped pieces of beef. Try to keep the piece of meat in you as small as a vein as possible or live, then the taste of your dish will be unsurpassed. Do not be lazy and in the store choose a good piece of fresh beef. How to find out if the meat is fresh? First of all, fresh meat smells differently - freshness, and it is impossible to make a mistake here. Secondly, in fresh meat, which still stores blood in the cells, another color is a real bloody color. There can be no alternative. And I put sliced ​​beef on a hot frying pan and constantly stirring, fry until crisp. Then I can add olive oil again and add onions and continue to mix everything - already meat with onions, a little salt, a little, a dash of black pepper, and the last I add carrots and just stirring, fry all the ingredients until ready. The meat turns out well and roasted and fried from all sides and in the middle, the onions are already well roasted, and the carrots too, and all together, mixing with each other and giving away their juice, which we needed in this part of cooking. That is why I like to cook in a skillet in this order - meat, then onions, then carrots, and then still for some time continues to fry over low heat, when you can add a little water, so as not to burn. The second option: Start with vegetables. Separately, fry vegetables. Just cook onions and carrots, a lot. How much, you ask? Let's think together. It all depends on how big your casserole is and whether you are going to cook for yourself, for two or for a large family, but the more onions and carrots for beef in an Irish stew are - and not only in this dish will be tastier more significant! I always take two large onions and chop finely and put them on a hot frying pan, on which olive oil is already poured, I start to fry onions first, over low heat and at the same time, looking at the onions, I cut carrots - also three or four large carrots , into small pieces or ringlets or chips, and also lay in the pan and continue to fry with onions until golden brown. I lightly add some salt to the vegetables while they are fried in a pan. And almost at the end I can add a little finely chopped garlic - well, this is an amateur. 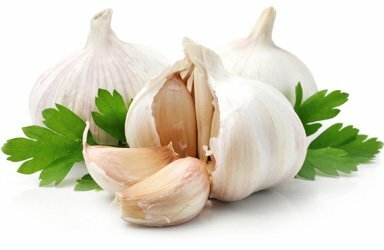 There are many people who are allergic to garlic, so be careful with garlic. I do not always add garlic to Irish. Frankly, quite rarely. When it is to your taste, color and most importantly, everything is ready for the smell, you separately fry the meat cooked in advance (so that the water is glass when you wash a piece of beef for cooking). And now I put the first fried meat on the bottom of the pan, carefully pour all the fried vegetables out of the pan, put some peas of black pepper between pieces of meat and vegetables, I can put a few peas of black pepper in the pan, only for of flavor and light taste, and I fill it all up with water so that the liquid covers all the products in the pan, or - which is much better, but it is not always possible to cook any meat broth beforehand left in the fridge - this is chicken broth, and beef, bone, for example, fits just perfectly, in my opinion. I bring it to a boil and close it tightly with a lid, fasten the fire to the minimum and leave it to cook like this, gently gurgling, for a couple of hours. From time to time I carefully open the lid and look at what it looks like to my taste. I can slightly raise the meat and gently mix the vegetables, but it is with caution and a wooden spoon, so as not to break the vegetables, and then you get ugly pieces in the end. The liquid should cover all our products put into the pan, that is, meat and onions and carrots laid on top of it and this liquid, be it just water mixed with olive oil, when you carefully put everything from the pan to the bottom of the pan, or broth should be a beautiful golden color. About an hour before I turn off the stew, I put a few leaves of bay leaves between pieces of meat and vegetables - for flavor and for taste. And by the end I’m not adding anything else. I love the last hour to simmer the stew in the oven, if I have enough time. But for this you need not hurry anywhere and, putting the pan in the oven, do quietly household chores. Let the temperature in the oven be minimal too, the dish in the oven this last third hour should be stewed or slightly bubbling. Cooked with stew cools naturally on the stove or in the oven, and at night I put it in the fridge. The dish is usually always thick, rich, and the next day, when I take out the pan of their refrigerator to warm up, the broth in the pan resembles a light jelly. 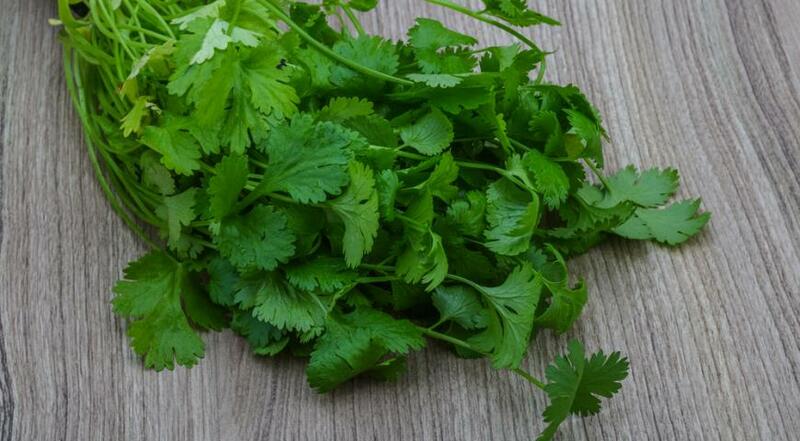 You can reheat everything in a saucepan, and Irish cuisine is recommended, and before eating I sprinkle chopped greens in plates - be it dill, green onions, parsley or cilantro. The latter, by the way, in my opinion, more other greens are suitable for such a stew. Everything in our main recipe remains the same - all the same vegetables, pots, pans, etc., except for spices, seasonings, as lamb is special meat and requires other herbs. Otherwise, your stew will not have such a taste as it should be in this recipe with lamb instead of beef. I noted for myself that Irish lamb does NOT have such a pronounced, I would say even a specific smell, like the same meat of a sheep or a sheep, say, in Latvia or Russia, where I often have to go. And I was personally pleased with this fact, I must honestly tell you, because I didn’t eat lamb meat because of its strong and strong smell since my childhood, when I lived with my parents in Mongolia, in the capital city of Ulan Bator, and My dad from the Mongolian friends somehow brought home half a carcass of a sheep. At that time I was about 6 years old, but I felt physically ill from the smell of a huge, huge carcass of an adult ram, and I flatly refused to eat anything that was cooked with this type of meat or even remotely resembled its smell. But many years passed, and only in Ireland my sense of smell changed me: my son-in-law, baking the meat of a young lamb, suggested that I try a piece. Reluctantly, I dared to eat a small piece ... and chew, with surprise and to my joy, I understood that Irish lamb does not have that sharp smell that has been following me since childhood, no matter what butcher shop I go. So, friends - when everything is ready with you and you have folded and roasted lamb meat - this is preferable - and the browned vegetables mixed with slices of coarsely chopped potatoes are placed on top of it - I don’t take the baby potatoes only on the subject that even lamb meat requires potatoes, which already have a richer flavor and age, and now I roast the roasted pieces of lamb meat with such herbs - sprigs of rosemary, juniper, and by all means put the whole unpeeled large head of garlic. When the stew is almost ready, when the required three hours for its perfect preparation have expired, I will put fresh mint, a few leaves directly on top of a thick broth in the meat pot, and cover with the lid, brew until it is time to clean in a cold place, in the fridge, for example. 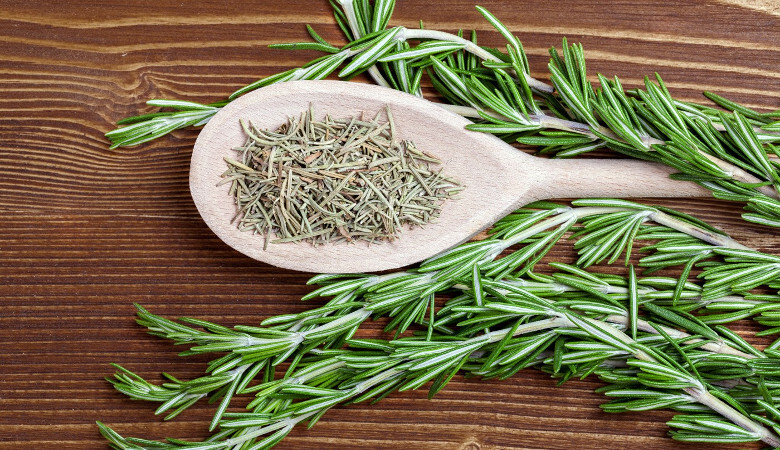 The meat will take all the flavor and mint, and all the previously laid herbs, and your stew will have an unsurpassed taste, believe me. And one more nuance - if I cook Irish with lamb meat or middle-aged lamb meat, I’m not adding my favorite, by the way, Gravy sauce, or wine, or Guinness beer. Pour cold water and put on the fire to cook. In my opinion, this very meat does not need any wine or beer, or even in the sauce “Gravy”. 6) 200 g - Olive oil, preferably of good quality. 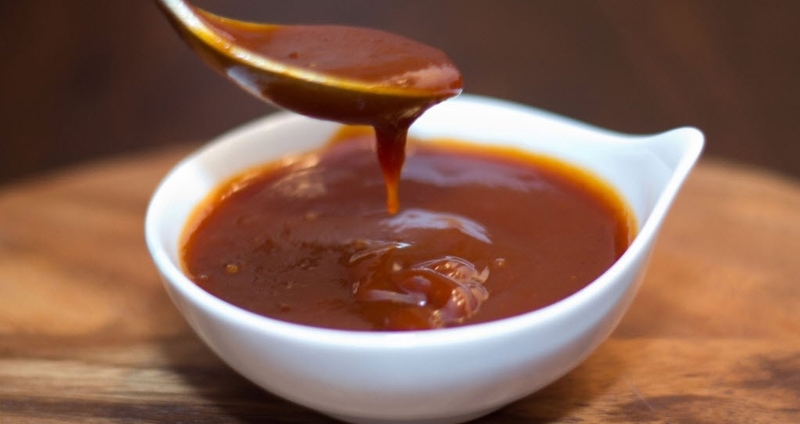 THE MAIN SECRET: In Ireland, the so-called beef extract “Gravy Sauce” is very popular - it is sold in any supermarket and you can easily find it on the shelf, either in the form of a light gray powder, in small jars, or in granules. Some housewives and cooks to get a richer and more delicious stew of their taste, add a glass of red wine to the water or meat or bone broth, or a glass of Guinness beer, or half a glass of this Irish Gravy sauce — a teaspoon on the floor -glass of boiling water. After cooking this sauce is already in liquid form - it has a pronounced color of dark blood or brown color. This sauce contains a lot of iron and therefore it is very useful. By the way, it is always required to be served in the lunch dishes in all Irish hospitals for the speedy recovery of patients. 8) Bread is usually served gray, bran, preferably homemade.